Ishaan Tharoor, a reporter for The Washington Post, and others confirmed that “foreign journos sitting next to me booed Trump’s attack on the press”. Foreign journos sitting next to me booed Trump's attack on the press. Trump: "It wasn’t until I became a politician that I realized how nasty, how mean, how vicious and how fake the press can be.” The room boos. 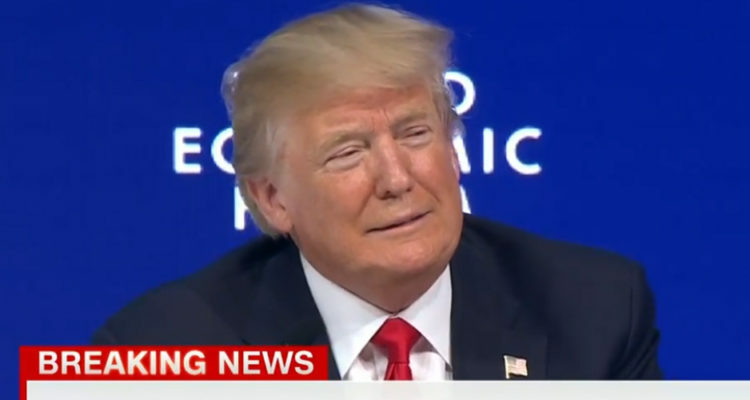 Trump, who was answering questions after becoming the first US president to address the WEF in 20 years, brought his “America First” message to political and business leaders from across the globe.